Innovative Swiss-based print specialist Hapa AG has once again been top-rated for reliability and low-risk by leading credit rating agency Dun & Bradstreet. 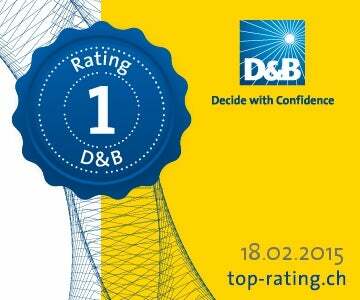 This premier rating places Hapa among the top 2% of companies in Switzerland. Hapa’s D&B 1 Rating Certificate confirms that Hapa is a ‘Minimum Risk” company, with which clients can deal in complete confidence, offering extended terms where appropriate. Hapa was originally awarded the D&B premier rating status in 2014. “We are proud that once again we have been rated as a D&B Top Rating company, placing us among the most trustworthy companies in the world,” said Beat Rupp, CEO of Hapa AG. “This certificate merely confirms what our customers already know, that Hapa is a 100% responsible and reliable business partner,” Mr Rupp added. The D&B Risk Indicator is determined on a five-step scale, from 1 (minimum risk) to 4 (high risk) with an additional ‘undetermined’ rating where there is insufficient data. Risk indicators reflect ‘expert rules’ factors such as data available, provenance of parent company, surrounding or historic legal proceedings and vulnerability to catastrophic events.